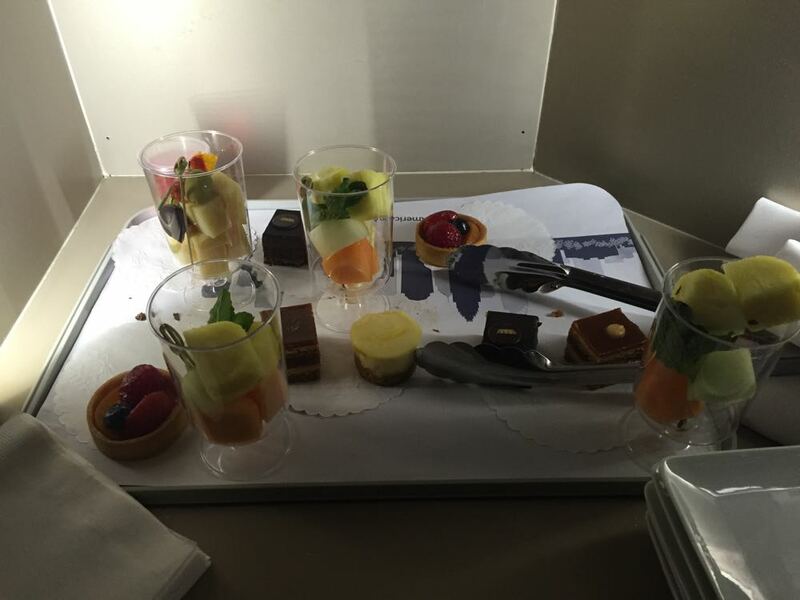 This American Airlines business class 777-200 Review is another chapter in the weekend wedding in London trip report. When we were looking at tickets to get to the wedding, economy was running in excess of $1500. What we ended up finding was that a roundtrip from Dublin to Dublin in business class was only $300 more than economy from lax-lhr-lax. Since I need to be back in London at the end of September I figured I could just buy my return flights now, and figure out an alternate way of getting to the wedding on August 1st. What I ended finding was a routing to the London wedding via Germany with Air Berlin for 57,500 AA and $85 and this flight was a part of the routing that got me home. Since this new roundtrip originated in Dublin we needed to get there. We flew up to Dublin on August 2nd at 7:30am and landed about 3 hours before our flight back down through LHR for this leg. Needless to say, by the time I got on the plane I was beyond exhausted. However, I was still VERY excited to try out another one of the American Airlines business class products. So far this year I’ve been able to review both the 777-300ER and the A321T, but wanted to see how the 777-200 compared to the 777-300ER. I also had the opportunity to fly the old configuration of the 777-200 in First Class last year and wanted to see how the 2 cabin competes with the old 3 cabin. We did everything in Dublin and it was very easy. Ticketed all the way through from Dublin to Los Angeles; however, upon landing in London we did land in terminal 5 and were given new AA stock tickets before we transited to terminal 3. I’m not sure we really needed to do this or not, but we were shooed into their ticketing area that is stationed between T5 and T3 after you get off the bus. After we made it to T3 we went straight to the BA lounge and rested until we boarded our flight. I was hoping to check out the Cathay Pacific lounge at Heathrow, but it’s renovation hasn’t completed yet. It also occurred to me that had we kept our old BA stock tickets they may have let us enjoy spa benefits, but with the AA tickets it was obvious we weren’t flying BA metal. It feels like a brand new plane. Our security cards were updated in July and I know that American is introducing newer versions of the 777-200 retrofit at some point, but this plane seemed fresh. I dunno, I guess a smiling, quirky, lovable stuffed Monkey who travels the world doesn’t float some people’s boats. To this point, I’ve actually received quite a few hateful comments on my posts…if you’d like to share those on this one you’re more than welcome. I live in America and there is free speech. There’s also a spam folder where you will end up. The crew was very crabby. Almost immediately after Miles plopped down he requested that I take a few pics of him. Some crew get weirded out by pictures, and it’s totally up to them whether or not they are allowed on the flights ( even tho American loves it when you post your experiences online) and they just recently called Miles out on twitter for his photo shoot with the Best Flight attendant ever….it’s still their call. I thought maybe they would tell me and him to put the camera down. They didn’t. Instead they were just kind of passive aggressive towards me for the remainder of the flight. I’ve read a lot about the seat: It being much narrower, that the other person in the row can feel when you move, and that it’s inferior to the 777-300ER reverse herringbone design. While it is narrower and I guess would say it’s inferior to the 777-300ER business class, it’s still a fantastic product. The 777-300ER is a bigger plane, but the 2 cabin design of the 777-200 is a direction I think AA will ultimately take. I couldn’t feel when anyone was moving within the center seating structure of the plane. As you can see in the bottom picture, the ottoman doesn’t allow much room for your feet, or any place to stow your bag. The overall function of this seat was better and worse in some ways. I found the controls to be really cool. I liked the touch screen seating controls, but until I figured them out, thought they were a little hard to understand. Once I “teched” up and understood each function, I thought it made the overall seat much sexier and streamlined. The IFE was integrated very well. On the 777-300ER the A321T the headphone jacks aren’t the most ergonomic. These however, were fantastically placed and even made using your personal headphones quiet easy by having two useable audio jacks. The only weird thing was that they waited til we were airborne and seat belt sign had been turned off to even distribute the headphones. WHAT?!?! We were on the ground for 45 mins, and then another 30 in the air. We just twiddled our thumbs because unless you had your own headphones you couldn’t watch anything. That’s a first. They even collected the headphones with over an hour of flight left. It’s stuff like that that I think this crew did to make their lives easier than to really enhance the experience for the passenger. Advertised but never worked. I tried multiple times through the flight to login and it just didn’t work. The guy sitting in row 2 asked and the flight attendant just said…if you’ve tried a few times and it’s not working…It’s not working. I was planning on sleeping most of the flight anyways, but I was kind of shocked she didn’t tell him to try a couple more times and if it was still giving him difficulty she would reboot. Instead…she just couldn’t be bothered. The plugins for USB and powercords were very useful. I ultimately stored my iphone here and let it charge up. I found a very well placed storage slot next to the bed for my wallet. Made it feel super secure. It’s these seat design aspects that I found to be very thoughtful and useful. It also shows how much design has progressed since the Air Berlin cabin was designed. That left very little space that the passenger could use for their things. Not that this had an abundance of space, but it had enough for the essentials. United Global First still ranks best as far as storage is concerned. I didn’t get a check-in reminder and was completely in an out of body experience ( I flew thru Germany to London on saturday for a wedding sunday, then up at 5am the next day to fly back to LAX) so I didn’t request a meal. The first air hostess came by and gave us our headphones and then about 10 mins later stopped to ask my dinner request. Well Miles and I eat no meat, only fish and veggies. So I started to order an express meal with the pasta. She just said Wait! So I stopped. She then looked down and said I can’t take your order now, I have to start at the back and work my way forward. I said ok, well I mean you’re heee – and she was off. Just like that. Not a big deal, but she’d been curt with me since boarding. When she came back she told me that all they had left was Beef. I must have had a stunned look on my face, because she said, ” Beef. That’s all we have left. Do you want it?” I said, “well the thing is is that I just want the express meal and I don’t eat meat, just fish and veggies.” Her reply, ” you know you can order food ahead of time and you should have done that cause all we have left is the beef.” I kind of nodded, just thinking ok…well I guess I’ll just have some snacks and then sleep. I then ordered the express meal from her and said I’ll just have the salad then and cheese and crackers. At this point, my girlfriend seated next to me in 1D was getting service from her flight attendant. She said, my boyfriend doesn’t eat meat and was told that you only have beef left. She looked at her kind of strangely…well I have chicken and fish left. We divvy up the meals, would he like the fish? Yes, he would. So…was my flight attendant out to get me? At best I would say that she just didn’t want to be bothered to go and ask her coworkers if other meals were available, and at worst – she didn’t like me for some reason. In fact, up to this point I hadn’t even received a drink other than my pre-flight drink. I kinda looked around and realized that some on my side of the plane had received a pre-meal drink and others hadn’t. Was it just limp service, or was she playing favorites? Regardless my fish ultimately ended up coming. As did a fruit and prosciutto plate. I have to say I really like it. I’ve only ordered the multi-course style before, but if you need to get to sleep and don’t care so much about getting ice cream…do the express meal. I was served my entire meal and was pretty much done eating it by the time the lady across from me got her first course. All in all, I’d say I finished a solid 45mins to an hour ahead of the multi-course passengers. Crucial sleep time. Just like on the 777-300ER they lay out snacks behind the the galley in a separate hallway. The bed was pretty comfy. It’s certainly narrower than the business class on the 777-300ER, but I found it comfortable enough to pass out pretty quickly. It’s also a little shorter, but at 6′ I could fully stretch out my feet and be fine. I did make use of the headrest controls and slid them to their top position. My shoulders did hit the sides when I slid all the way to the top, but once on my side…everything was fine. I can see where people complain that it’s not as good a seat as the reverse herringbone 777-300, but comparing it to the flight I just had on Air Berlin…it’s incred. I would advise against sitting in this row because you look almost straight at the person in 1J. The other rows however seemed to be staggered more to avoid this awkwardness. After sleeping a solid 6 hours I woke up for a light snack. The best part of the light snack was the chocolate mousse and the apple juice. Other than that…it was one of the AA’s weakest dishes I’ve had in a while. Two negative things stuck out to me. The partition didn’t move and the wifi never worked. Both of these are reasons passengers would opt to fly this plane and this configuration over a competitor. Annoying that they didn’t work. This is a massive improvement on the old 777-200. Even though I flew that in Flagship First I would take business clas on this newly redesigned seat and cabin any day. It’s sleek, comfortable, and is light years ahead of that product. In terms of comparing it to the 777-300ER business class…it doesn’t quite measure up. But I did really like this cabin and this product. I didn’t notice it being overly cramped like some people have remarked, and while my seat rocked a bit, I couldn’t feel my girlfriend move around in her seat at all. In searching for award tickets I find this plane to be available on more routes than the Flagship 777-300ER and I would happily fly on this plane without complaint. This is the first time I’ve been pretty disappointed with AA and their staff. This entire year I’ve had really excellent service and treatment. This flight, for whatever reason, failed. It was pretty consistent from all the staff but maybe one lady ( Asian American if someone from AA is reading) that did anything but go through the motions. There as one staff member in particular that was at best unpleasant. I write this off to a bad experience, as so much of my time with AA this year has been great. With that said…when you’re spending quite a bit of money to fly business and the service is sour…it leaves quite an impression. It’s kind of like every time something goes well a penny is added to the consumer experience bank, and when it goes wrong a quarter is withdrawn. I’m on track to hit Executive Platinum this year, but with recent devaluations and if I have many more experiences like this…I’ll certainly be thinking of switching loyalty. Report would be better if it wasn’t for the monkey aspect. The whole monkey thing is rather erelovent. Good report though. I happen to like Miles. Alright dude, I’ll bite. After all it’s a slow summer afternoon and I’m reading a blog with pictures of a stuffed monkey. That said, I’ve actually read a number of your reviews and they’re better than about 95% of the garbage on Prior2Boarding and BoardingArea (and whatever the hell TravelUpdate is). But the monkey isn’t working for me. I get it – his name is Miles and this is a miles blog. But it completely undermines the quality of both your writing and your photography – which, again, is better than 95% of the other blogs on these networks. I’m not quite sure what your end game is, but it seems to me that the very few people who have built something successful out of these blogs do so by promoting themselves, not a stuffed animal. From your bio, I guess you have another career going in the entertainment business and this is all just for fun. Which is totally fine, but I really think you’re selling yourself short with the monkey shtick. Just 2-cents from an anonymous voice out in the inter-webs. Per Hour – thanks for enjoying the photos, writing, and the overall feedback! Our goal is to provide readers with something different, fun, light, and humorous. We get that not everyone is going to be a fan at first, but like beer – we can be an acquired taste. Hopefully you’ll continue to read as our readers are important, but we pride ourselves on being a bit quirky and different. Big Miles fan here! I think this blog is better for the humour – it’s a bit of a light relief on Boarding Area and Prior2Boarding. Go Miles! Also aren’t people missing the point – it’s Miles’ blog…. woot woot! that’s our goal – fun, light, and hopefully informative =) thanks Leo! Do you like, seriously, ever wash that stuffed toy, as put it in the washing machine, hot water and laundry detergent with an extra rinse and spin? I’d imagine after hauling that thing around it’d be pretty soaked with all manner of bacteria. Other than that, the report re: the cabin matron convinces me why it’s best to fly select Asian carriers instead. I’ll tell you one of my experiences on United economy plus: Middle-age matron asks ‘chicken or beef’, I ask ‘what kind of beef?’ Matron replies sarcastically ‘dead’. No joke. That’s the level of cretins that US carriers hire, and never, ever fire. I’ve had poor AA service in their int’l F cabin as well. So at least Miles doesn’t give lip. I don’t understand US flight attendants. At best they are passive-aggressive, at worst they are aggressively hostile. And I say this as a gay man myself, but the worst offenders (in terms of viciousness, meanness, rudeness) are the gay male FAs. If you dislike humanity SO much, why do you pick a job that involves being around humans??? SMH.